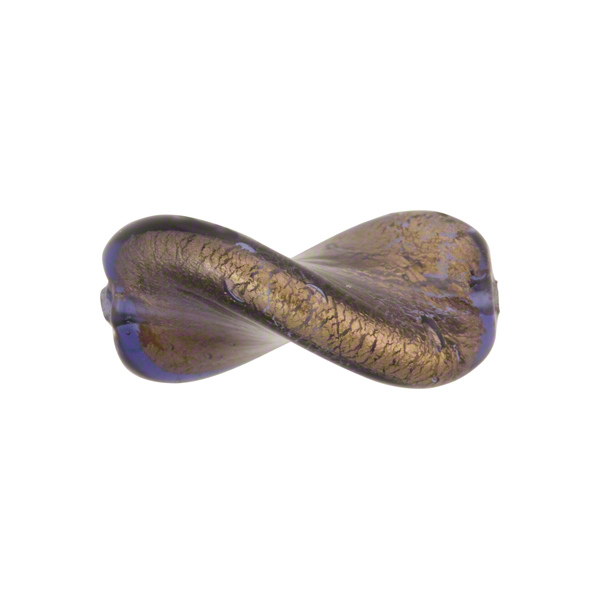 This is our Murano Glass twist, or leaf, in Blue Inchiostro over 24kt Gold Foil. 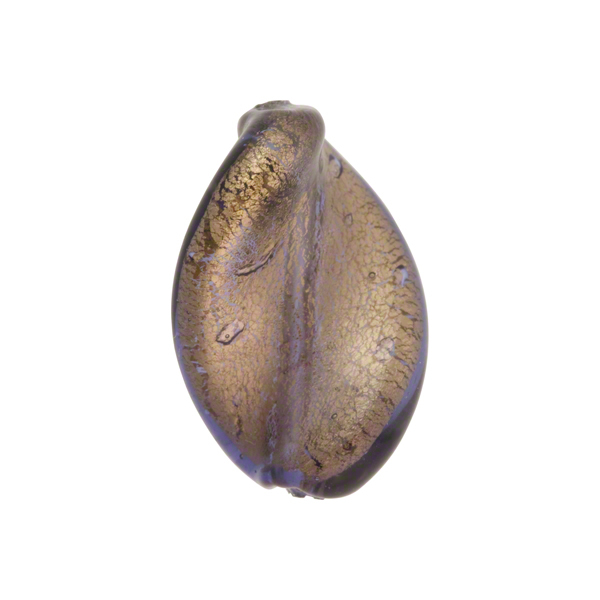 The size is 20mm long and about 14mm across, they are thin about 5mm thick and light, good for earrings and bracelets! The color is a luscious bronze as the gold foil shines through.